Type: Extra Short Socks | Fabrics: 75% Cotton, 20% Spandex, 5% Elastane | Color: Grey · Lightweight stretch cotton fabrication · No show liner socks .. Type: Extra Short Socks | Fabrics: 75% Cotton, 20% Spandex, 5% Elastane | Color: White · Lightweight stretch cotton fabrication · No show liner socks .. Type: Extra Short Socks | Fabrics: 75% Cotton, 20% Spandex, 5% Elastane | Color: Black · Lightweight stretch cotton fabrication · No show liner socks · &.. Type: Short Socks | Fabrics: 75% Cotton, 20% Spandex, 5% Elastane | Color: Black · Lightweight stretch cotton fabrication · Snug, yet barely-there fit · .. Type: Short Socks | Fabrics: 75% Cotton, 20% Spandex, 5% Elastane | Color: Grey · Lightweight stretch cotton fabrication · Snug, yet barely-there fit .. Type: Short Socks | Fabrics: 75% Cotton, 20% Spandex, 5% Elastane | Color: White · Lightweight stretch cotton fabrication · Snug, yet barely-there fit .. Type: Middle Socks | Fabrics: 75% Cotton, 20% Spandex, 5% Elastane | Color: White · Lightweight stretch cotton fabrication · Ribbed band prevents slipping .. 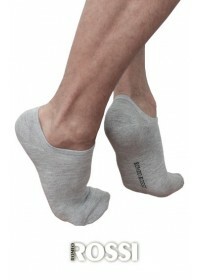 Type: Middle Socks | Fabrics: 75% Cotton, 20% Spandex, 5% Elastane | Color: Grey · Lightweight stretch cotton fabrication · Ribbed band .. Type: Footsteps | Fabrics: 75% Cotton, 20% Spandex, 5% Elastane | Color: White · Lightweight stretch cotton fabrication · Designed to give you the no-sock look · &.. Type: Footsteps | Fabrics: 75% Cotton, 20% Spandex, 5% Elastane | Color: Black · Lightweight stretch cotton fabrication · Designed to give you the no-sock look · .. Type: Footsteps | Fabrics: 75% Cotton, 20% Spandex, 5% Elastane | Color: Grey · Lightweight stretch cotton fabrication · Designed to give you the no-sock look ·&nb..